Rightmove are now a household name having established themselves as the market leader for advertising domestic properties for sale and to let across the whole country, and they are now pressing forward to dominate in the commercial property sales and rental market too. Being featured on Rightmove gives us the opportunity to reach a wider customer base, and will help us to continue to grow our business. Initially, a handful of our properties will feature on the site, but more and more will be added over the coming months. We currently have a 4,000 sqft retail or trade counter unit available to let on the popular Highfield Estate, North Road, Chorley. 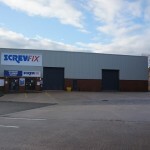 The estate already has companies such as B&Q and City Electrical Factors in occupation, and the unit which we currently have available is adjoined to the new Screwfix store, which has opened recently. The unit is the former Comet site in Chorley, and has undergone a full series of refurbishments following their vacation, and is now back to an “as new” standard. 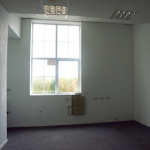 The unit can be adapted to an individual tenants requirements and is available for immediate occupation. Should you like some more information on this unit then please do not hesitate to contact us. Just on the market, we have a newly refurbished 300 sqft office to let on the popular Lower Healey Business Park in Chorley. The office incorporates a small kitchen area and has adequate room for several desks and a meeting table. It benefits from a large, new double glazed window looking out over the entrance to the site. Lower Healey Business Park is a secure site covered by 24/7 CCTV and utilising electronic fob access barriers. We are looking for just £35.00 per week + VAT with no service charge for this office and it is available on a month by month contract.